Senator Brenda Hood, Parliamentary Secretary in the Ministry of Tourism, Civil Aviation and Culture said that Government’s participation in the just concluded annual Cruise Shipping Miami Conference & Exhibition can impact positively on the industry immediately and in the long term. “The cruise executives prefers engaging with Government, and even though we participated over the years there were times when Government was not directly represented by our private sector. Government officials can speak about the plans of Government, so by us attending this year, Grenada was able to renew relationships and start the process for redeveloping a partnership that can bring benefit to cruise industry” she said. “We spoke about partnership building; we looked at the product being offered, and will be talking with cruise officials and sharing information because they want to know what is happening, what we are doing as we seek to improve our attractions; because these things are important, not just for us but also for the visitors,” she said, while explaining that Government is committed to the development of the tourism industry to contribute towards the economic growth of the country, of which the cruise sector is an important component. “Critical to the growth of the cruise industry is the enhancement of the major sites and attractions, and the positive experience of the visitors on island. Improvements in these areas would generate additional revenue and visitor satisfaction, also resulting in the conversion of cruise passengers to stay-over visitors to Grenada,” said a statement from the Grenada Board of Tourism. A seven member delegation led by Senator Hood attended the annual Cruise Shipping Miami Conference & Exhibition, held 11–14 March 2013 at the the Miami Beach Convention Centre, Miami, Florida. 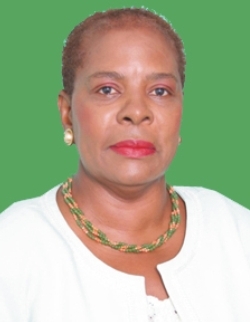 A statement from the Grenada Board of Tourism said that Senator Hood was warmly welcomed back into the industry by the Cruise Executives with whom she had done business with on behalf of the destination, and was able to renew and establish new partnerships. Members of the Grenada delegation, comprising of public and private sector representatives, had the opportunity to meet with various cruise executives and other stakeholders in the industry regarding the status of, and the way forward for the Grenada cruise sector. Senator Hood also had the opportunity to meet with members of the Florida Caribbean Cruise Association (FCCA) of which the Grenada Board of Tourism is now a Platinum Member, affording the destination to receive additional benefits that would ultimately positively impact the growth of the cruise sector in the country.